Ah, the home opener. When our beloved Sox won the World Series back in October, nobody envisioned our ring ceremony taking place with a 3-8 team. Unfortunately, that was the case. And even more unfortunate, the defending champs fell to 3-9 the same day they got to celebrate their achievements from 2018. Call it a World Series hangover, blame it on the road trip to start the season, point fingers at the rotation — everybody has an opinion. Nonetheless, this team is still just as good as last season and I’m truly not worried one bit. 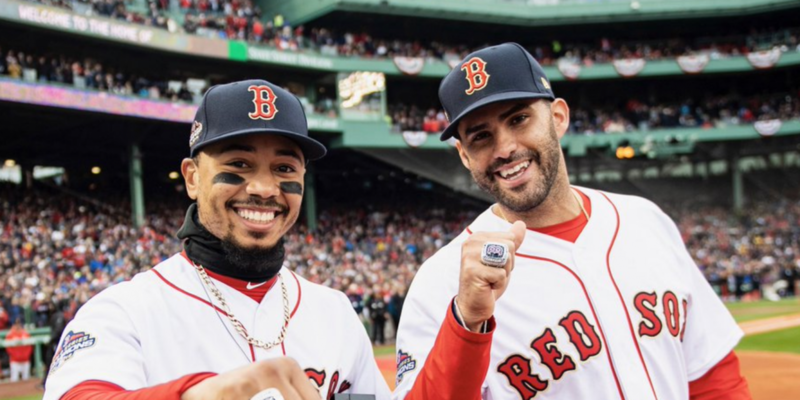 So with that being said, we’re going to take a look at some of the happier moments of the Red Sox 2019 home opener. I love this. I love this so much. Having Dennis Eckersley in the booth is always a treat. But to have the comforting voice of Jerry Remy also back, beside Eck, was just phenomenal. Whether you love or hate Dave O’Brien, the three of them certainly make for an entertaining trio. Tuesday was no exception. Jerry was back, looking as healthy as ever and sharp with his jokes and insight. Having two former players who can provide so much knowledge and insights into pitching and hitting is so intriguing as a listener and as a fan. It’s even better that they happen to be hilarious. They’re constantly cracking jokes and taking jabs at each other, while also using some of the most wild baseball terms on Earth to keep the audience involved (see: Eck-isms). They had various guests come in and out of the booth yesterday. Despite what was happening in the opening day game, it was so much fun to hear these three in the booth together. It creates for more entertainment and more stories that we want to hear. 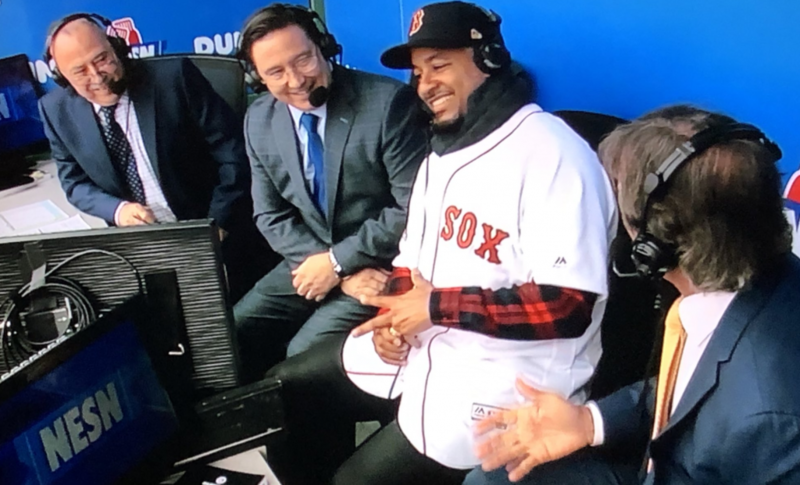 Having the three guys happy and healthy back in the Fenway booth was awesome. So there was no Craig Kimbrel, or Dave Roberts. However, there sure as hell were lots of other legends in the building today. The Red Sox always know how to put on an impressive show, no matter the occasion. Today was no exception. They had the fans on the Green Monster hold up different banners with the various championship years, while members of those teams patrolled in the field. Donning their Red Sox uniforms once again and carrying the hardware that proves what they did for this city. A plethora of notable names made appearances today. 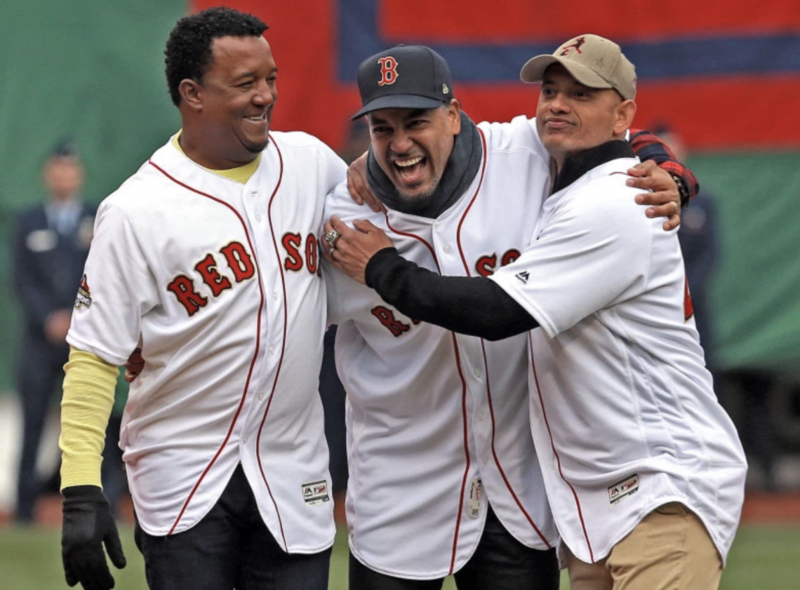 Some of the bigger names we saw on the field included David Ortiz and Manny Ramirez. Along with Curt Schilling, Pedro Martinez and Mike Lowell. 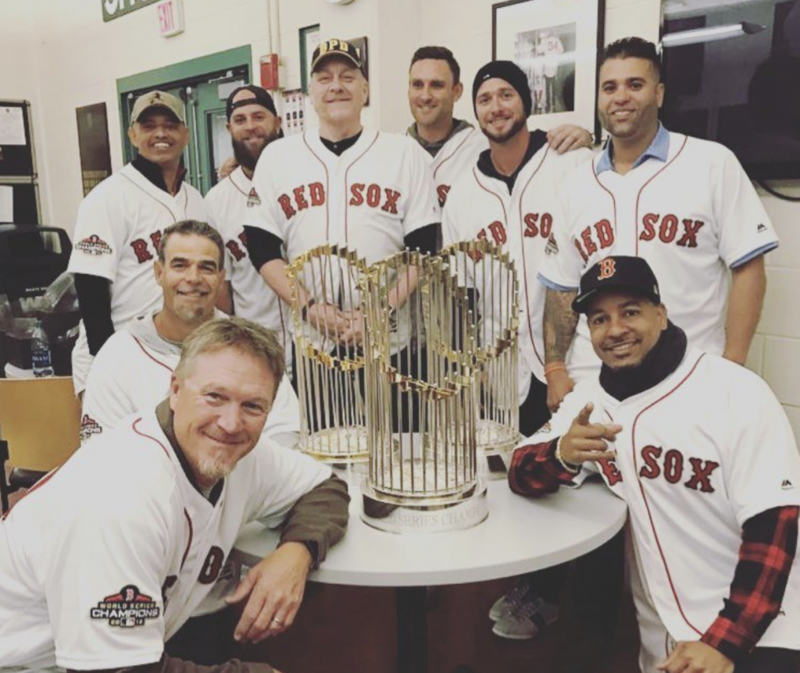 Other members from the past championship teams including Orlando Cabrera, Manny Delcarmen, Mike Timlin. 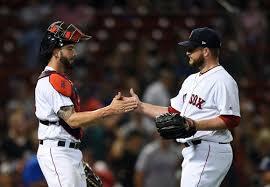 And some 2013 heroes Jarrod Saltalamacchia, Mike Napoli, Will Middlebrooks, among others. There were so many familiar faces who made their return to Fenway today. It was fantastic to see Curt Schilling be greeted with so much love and applause. 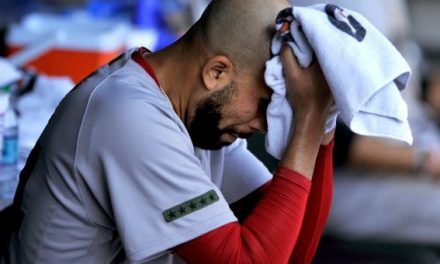 He’s faced a large amount of turmoil in his off the field career, and he has not attended most events the Red Sox have held. Seeing smaller-name guys that had big moments like Salty and Napoli was great too. Every single fan in the building knew who those guys were. They know why they were so important to that specific team’s success. Just another reason to love the fans of Boston, it doesn’t matter the name on the player’s jersey or the size of his contract. If you come here and do your job to help us succeed, we will forever be in your debt. Today was a splendid reminder of all the people who helped bring the Red Sox success. It was also another chance for us to thank them all for what they’ve done for the city of Boston. Oh, Manny. A player of so much discussion, both positive and negative, from the second he entered the city of Boston until the end of his tenure. Manny joined the Sox in 2002 and the rest is history. So to have him back in the building today, was just icing on the cake. 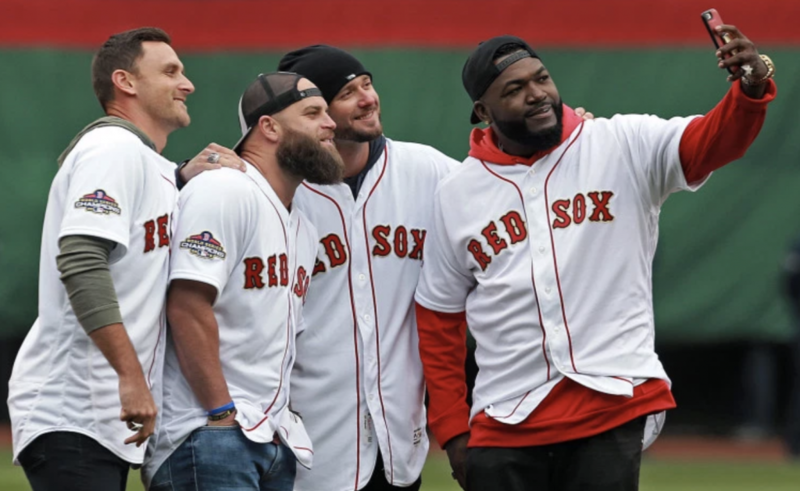 There’s always going to be so many big names when it comes to 21st century success for the Red Sox. 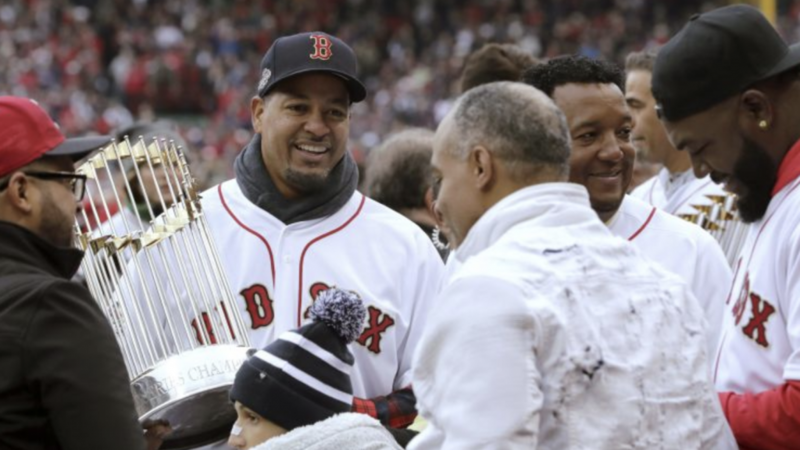 Manny Ramirez should be one of the most important in fan’s memory. 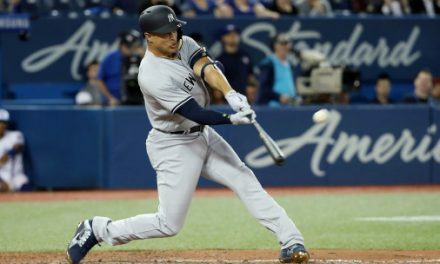 Not only was he a titan in the regular season, he’s also Major League Baseball’s all time postseason home run leader with 29. He had so many big hits for Boston. It really was fantastic to be able to hear him sit with the guys in the booth and reflect on everything. Ramirez was often criticized by the media in Boston for being slightly immature. Or not always seeming 100% focused on the game. Despite this, he remained a fan favorite and always provided a likable personality. That shined ever so brightly in the booth today, as he was cracking up jokes and making light of himself the whole time. It was great. Manny also got deep on us, talking about all the ups and downs he faced in his life and career, especially after leaving Boston. He conceded that it was wrong of him to push himself out the door. Now as a grown man, he realized this decision came from a place of immaturity. Even when O’Brien dug further, Manny stood by his sentiment. He reiterated that he loved Boston. That it was his favorite place and he wished he had never left. It truly was refreshing to hear this stuff from Ramirez. 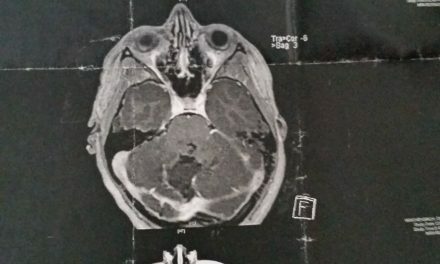 He’s worked so hard the last year or two to try and mend his reputation. Seeing him so reflective and so positive was second to nothing for me today. He also touched on his Hall of Fame candidacy. Realizing that if Barry Bonds and Roger Clemens don’t get in, he likely won’t either, he still remains hopeful. “We’re praying. But you know, I think in life, everybody makes mistakes. Nobody’s perfect, but I think with time, if it’s God’s will, we’re going to be there. If not, hey, we’re just happy that we got the opportunity to play the game that we love”, he stated Tuesday. I’ve always been a huge advocate that Manny deserves to be in. Whether he gets in or not, he will always have a place in the heart of every Red Sox fan. Seeing him today, in a different light than usual, was very refreshing. For me, it’s the highlight of the season so far.